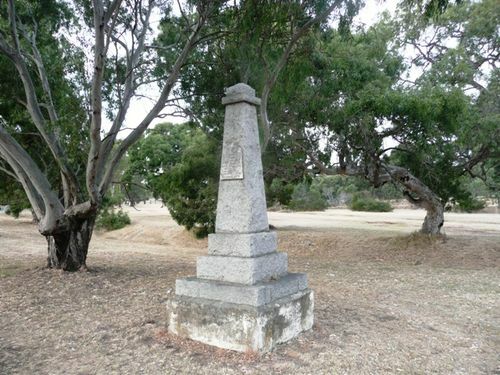 A cairn commemorates the explorers Hume and Hovell who camped near the site in December 1824. Several Hume and Hovell memorials will be unveiled on Saturday (not today). The time-table, as given by the secretary of the Town Planning Association (Mr W.F.Gates) is: - Broadford, 10.30 a.m.; Kilmore, 1.30 p.m.; Beveridge (Mount Bland), 3.30 p.m.; Bulla, 4.30 p.m. His Excellency the Governor (the Earl of Stradbroke) will be entertained at luncheon at Kilmore at half past 12 o'clock before the unveiling ceremony. At Bulla the earlier part of the day will be devoted to a picnic, in which five schools-Broadmeadows, Greenvale, Tullamarine. Keilor, and Bulla-will take part. Argus (Melbourne), 11 December 1924.